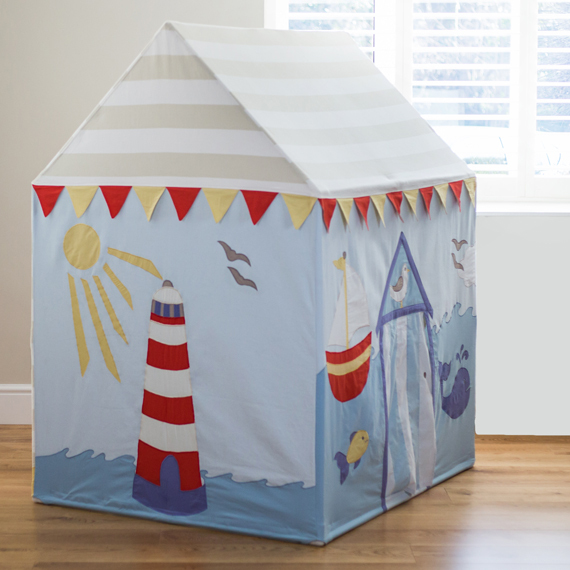 We love these beautifully designed playhouses from Kiddiewinkles, all individually appliquéd and embroidered and made from 100% cotton. 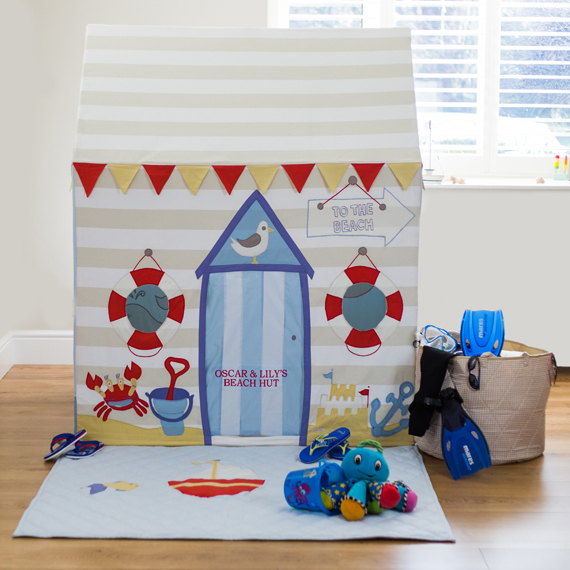 This summer holiday themed beach hut and seaside children’s playhouse will make everyday feel like a holiday! 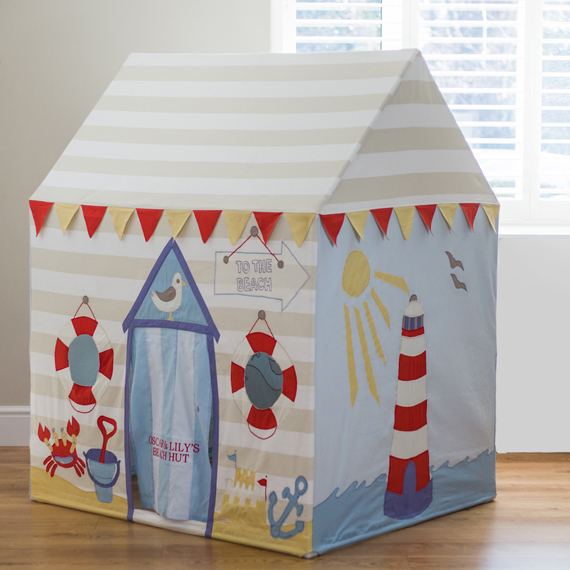 The front depicts a traditional wooden beach hut complete with an embroidered ‘TO THE BEACH’ plaque. A Seagull sits proudly above the front door with Life Buoys cleverly designed as windows. 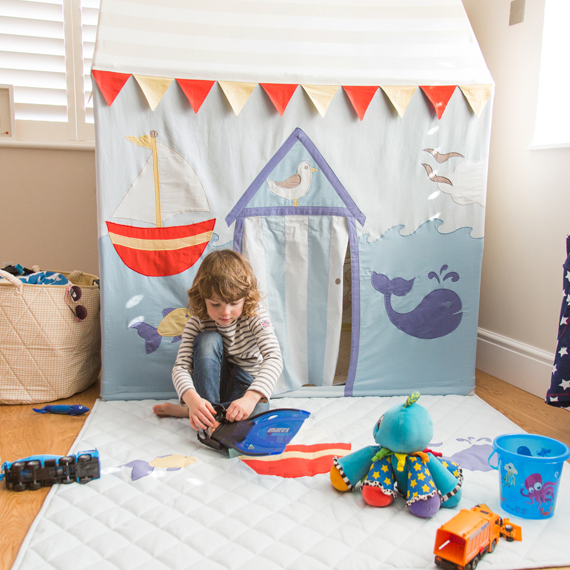 The reverse side will take little adventure seekers to the sea and features a sailing boat, fish, whale and seagulls. 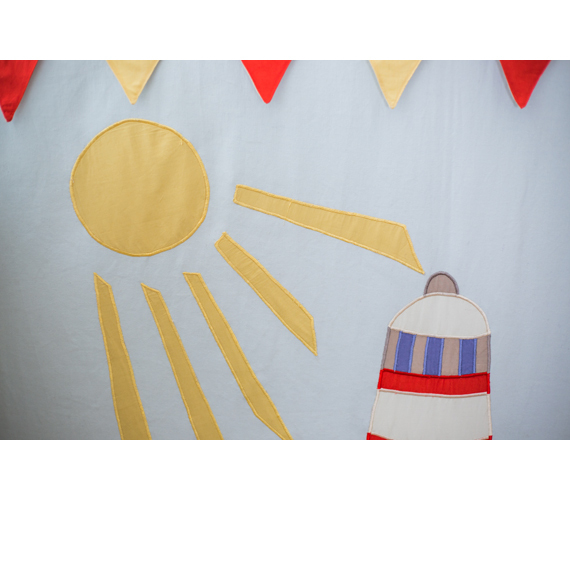 The sides complete the look featuring a blazing golden sun and a red, white and blue lighthouse. 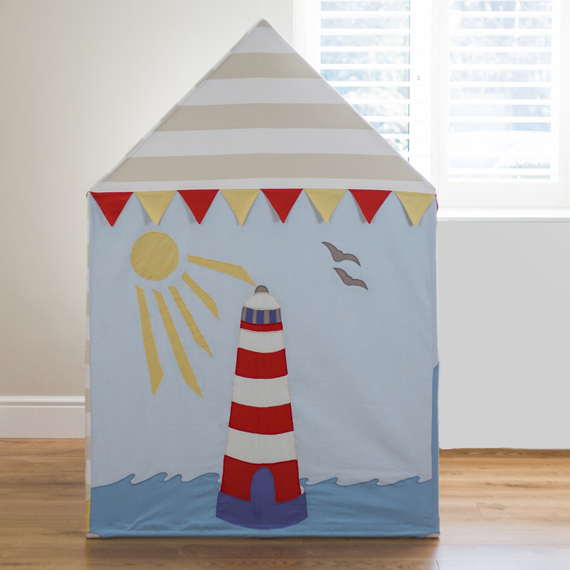 To make an extra special gift the playhouse can be personalised with your choice of child’s name or phrase, which will be embroidered onto the door. A co-ordinating toy storage basket and quilted floor mat are also available to complete the look. Non-personalised tents will be delivered within 3-4 days of order. 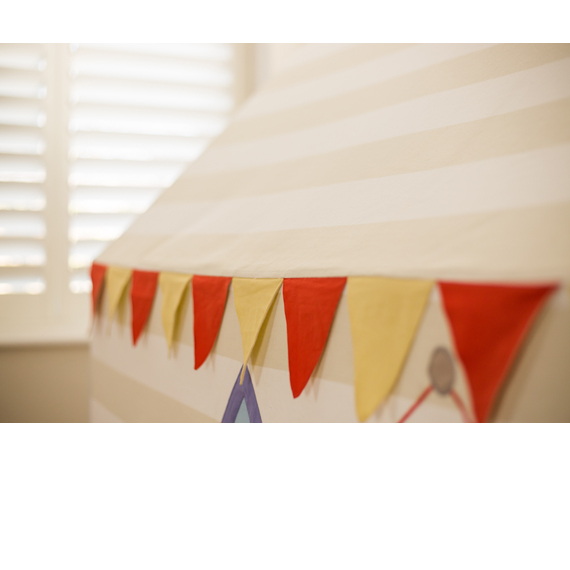 Personalised tents typically take a little longer around 5-7 days.